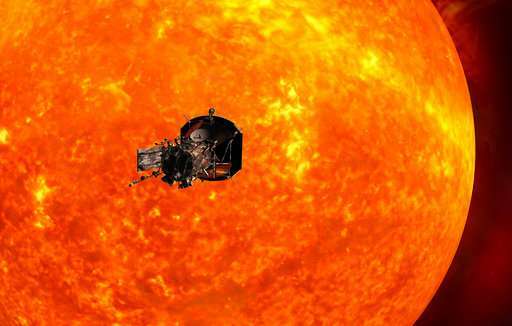 A new NASA mission aims to brush by the sun, coming closer than any spacecraft in history to its scorching heat and radiation in order to reveal how stars are made, the US space agency said Wednesday. Traveling at a speed of 430,000 mph, the spacecraft will move fast—like going from New York City to Tokyo in less than a minute. He published the first paper to describe solar wind—the high-speed matter and magnetism constantly escaping the sun—in 1958. Not heading straight for the Sun but working its way there by slingshot around Jupiter perhaps. That's a pretty good distance for placing some solar panels in order to obtain high amounts of energy. They don't require a large surface since the power density is far higher than on Earth (about 500 times larger). But that requires some solar converters that can withstand the high temperature; probably some metal-oxide semiconductors that can work there. And a way to transmit the power without frying something on the Earth's surface. 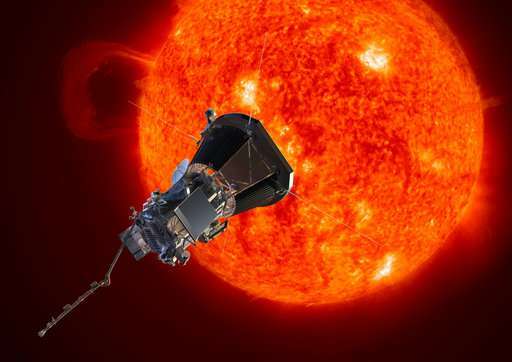 The Parker Solar Probe will use Venus' gravity during seven flybys over nearly seven years to gradually bring its orbit closer to the sun. It will eventually get as close as 6.3M km. FYI, the sun's diameter is 1.39M km.